Can Vitamin B12 Trigger Acne? Vitamins play an essential and vital role in the health of every living being. Whether we find it in the food that we eat, or the supplements that we ingest, the body relies on these important compounds in order to survive. Like anything sourced outside of ourselves, too much of a good thing can yield potentially harmful results. 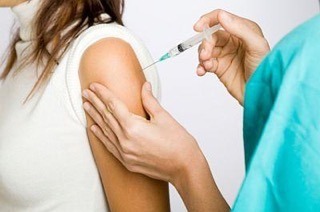 These days, many people commonly rely on B12 injections to fight fatigue and weight loss. Recent findings from a UCLA study suggest there may be a link between vitamin B12 and acne symptoms. Studies have shown that individuals with pre-existing acne experienced that their condition worsened after being injected with large doses of vitamin B12, and even a few individuals that did not have acne prior to the injection experienced an acne breakout as a side effect of the administration. Research suggests that the bacteria residing in the pores of the skin produces increased levels of inflammatory molecules that can exacerbate acne when Vitamin B12 is present. The bacteria, known as Propionibacterium. acnes, present in the pores of people with acne, responds differently to vitamin B12 than those without acne. It is important to remember that, despite these findings, vitamin B12 is not inherently bad, even for those who experience acne. The research simply suggests that “too much” vitamin B12 may not be a good thing for some individuals with acne. The researchers involved assure that vitamin B12 is an important vitamin for maintaining an overall healthy metabolism, red blood cell formation and the maintenance of the central nervous system. B vitamins are rich in riboflavin, specifically B2, which the body requires in order to develop and maintain healthy skin, and can be found naturally in foods such as dairy products, eggs, nuts, meats, broccoli, wheat germ, wild rice, mushrooms, spinach and other green leafy vegetables. In addition, observations noted during the study address an important point - just because the recommended daily amounts of a vitamin or supplement are good for you, it does not mean that larger amounts are better for you. As consumers, we are often taught that more of a good thing will yield a higher result in a shorter amount of time, but in the case of vitamin B12, the opposite is true. Too much of any supplement or vitamin can be harmful, and negative symptoms can occur with an overdose of any vitamin. Individuals should take their diet into consideration and any other supplements or prescription drugs they are taking before they continue to add to their daily routine. The key to being the HEALTHIEST POSSIBLE YOU is determining the right balance between diet and the use of multiple vitamins and other supplements. This is especially important when considering that acne is due to an imbalance within your body, which leads to an over-secretion of sebum by the sebaceous glands. Similar to the study in which the p.acnes bacteria found in individuals with acne responded differently to B12 than those without acne, this genetic diversity will come to play with many other factors. While the formation of an acne pimple is quite simple to understand, what triggers the pimple to form is another story. There are numerous factors that can be attributed to the physical symptoms of acne, including diet, stress levels, or even the climate in which one lives. The genetic makeup of the individual person is also a significant contributing factor. 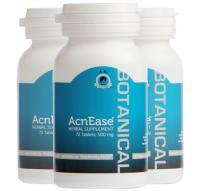 AcnEase® is a safe, vitamin-free alternative to treating problem skin. Our all-natural, herbal acne treatment works from within, stopping acne before it starts by counteracting the effects of hormonal imbalance and the overproduction of sebum. Designed to work together to address and treat the cause of acne, all herbs used to make AcnEase® are of the highest quality, and have been extensively tested and proven safe in clinical trials. The message is clear: education and the moderation is the key. By educating yourself about the types of supplements you are taking, their ingredients, and the correct amount needed for your body, you are able to determine and monitor how they relate to your diet and how they affect you. If you are unsure about adding a supplement to your daily routine, please speak with your healthcare provider first and address any concerns. Also, take notice of any changes or responses in your body when adding additional supplements to your usual routine and report these to your healthcare provider. We want to hear from you! Have you taken vitamin B12 or a B complex and noticed an increase in your acne symptoms? Have you found a combination of B vitamins that works well with your diet and skincare routine? Let us know in the comments below!